So, I am happy today because I made my first sale form the new studio. 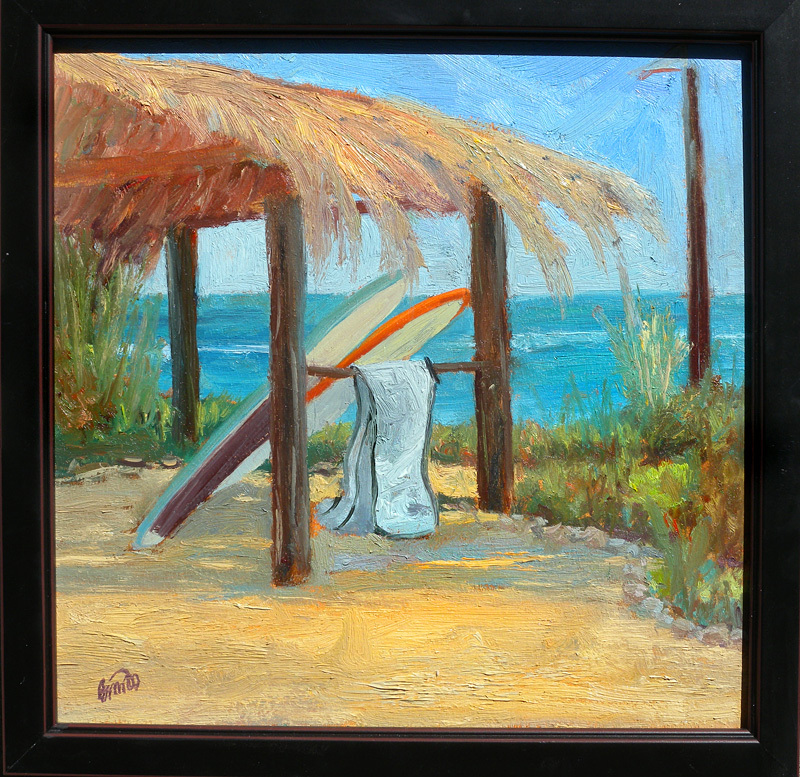 “Dogpatch Afternoon” was one of the 4 paintings I finished while at San Onofre in June. A good friend and teaching partner, Christine Wood was meeting me in the studio today to discuss some upcoming projects we are collaborating on. When we were all done she says. “Rich, I need to look at your paintings again. I think there is something there that I need to get… ” and she left with this in her hand. I am so pleased. Thanks Chris! Congratulations it is a great painting and it deserves to be bought. Congratulations, Rich!! Isn’t it wonderful when someone else loves the work you’ve created!!! Chris is a great supporter of the arts and artists. Congratulations!